When you are a wildly successful music festival, sometimes you have to deal with the consequences of your own success. 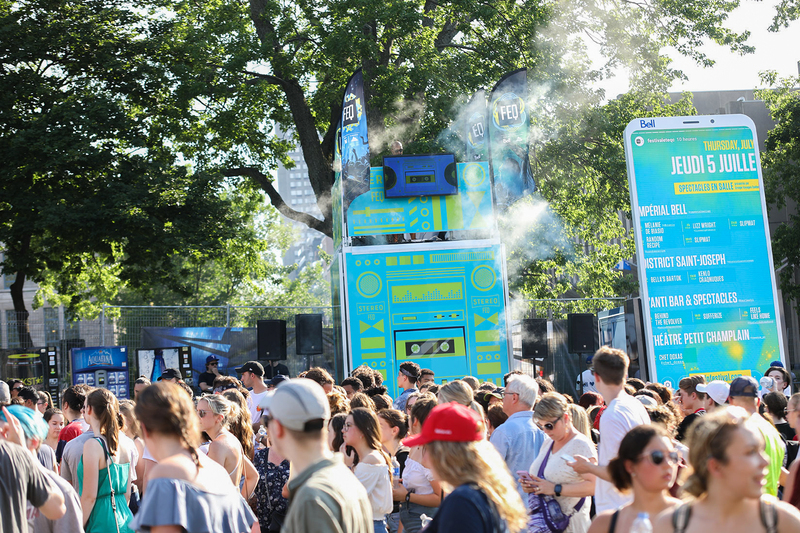 That was the case with the Festival d’été de Québec, where organizers decided they could address the issue of long entrance queues with the product that makes them so popular: music. 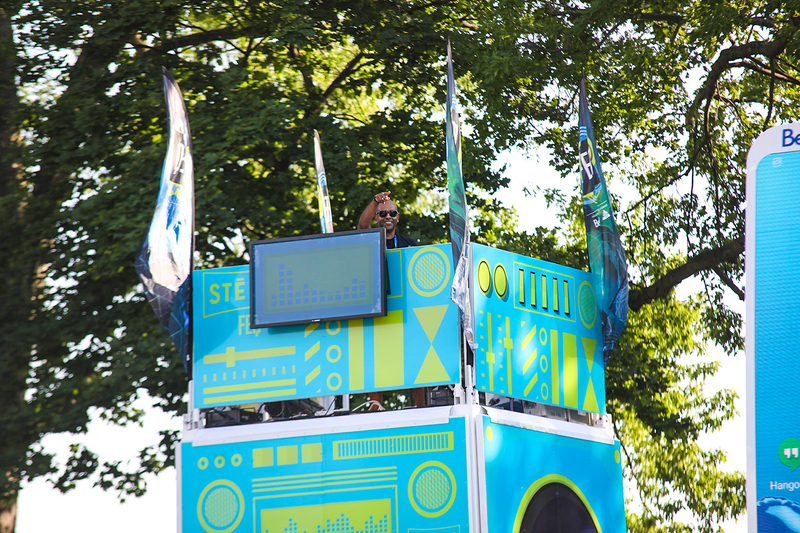 Enter Loki Box Design with the concept of a pop-up mobile DJ booth that redesigned the experience of waiting in line… no matter how long the line! 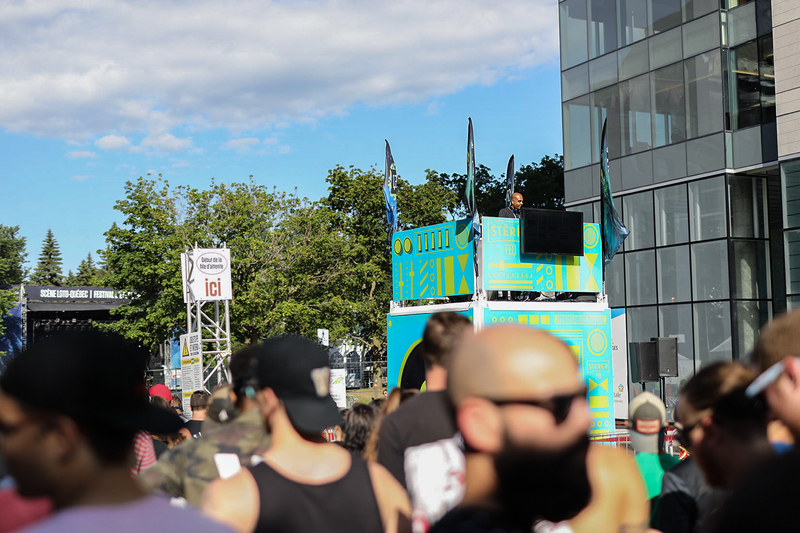 The concept, called Stereo FEQ, got the crowds in a party mood long before the acts took to the stage. The LB8 base unit’s compact size and lightening set up capability made it perfectly suited to the task. 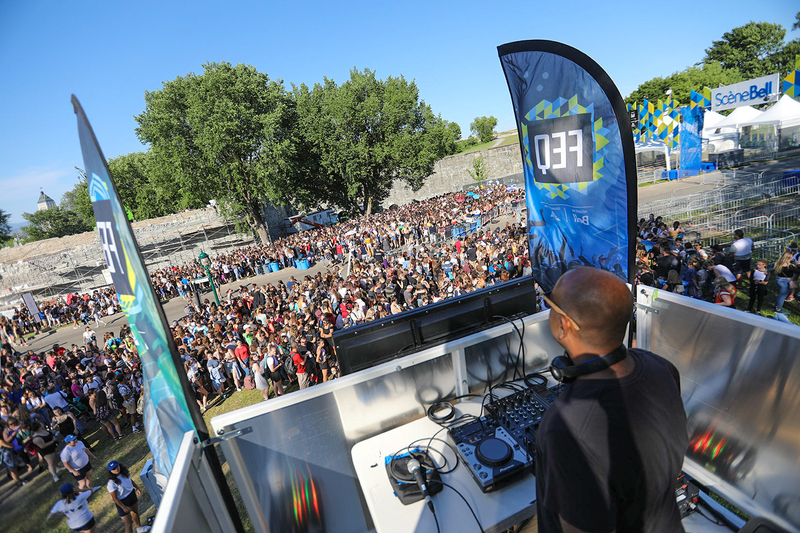 The structure also let the DJ table rise to a height of 9 feet, offering crowds a view of the DJ at work. 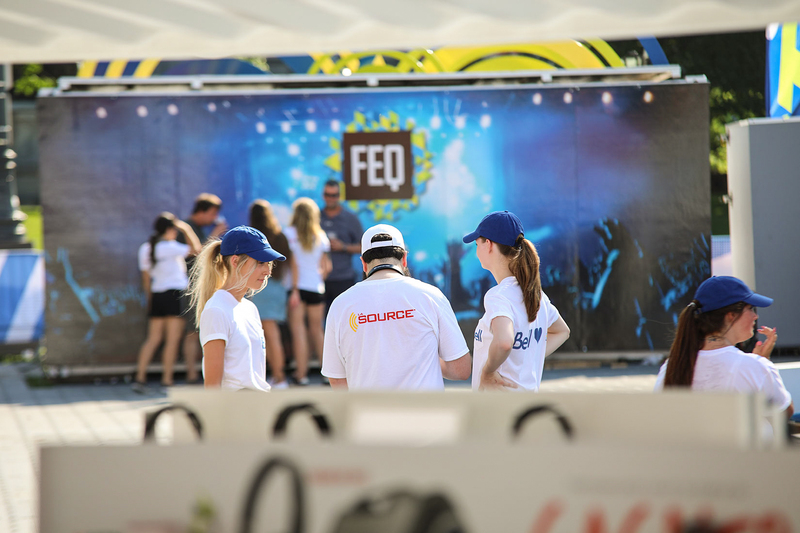 The unit was branded on all sides and could easily be repositioned according to the Festival’s needs and the length of the queue.